So the day started like any other, quite normally, uneventfully, placid. 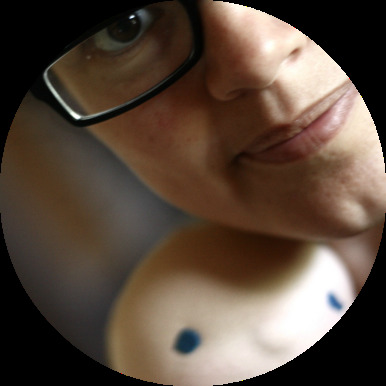 It seems that my blogging turns a page every Sunday or so, and I am not complaining. Sundays are so lazy in this house of mine, lazy in the sense that we normally don't go out, we don't try to achieve anything, other than to eat yummy food, read, perhaps watch a movie, things like that. The dolls usually lie in their underpants the majority of the day, and I slumber in my pyjamas too. A cup of coffee is almost always near me, and so are notebooks and pencils. A lot of ideas flow on Sundays. For everybody in the house. These three girls have become the best of friends. I am afraid Darcy has called herself the older sister, and cites dimensions and also birth dates to cement her hypothesis. She doesn't really know what her birth date is, but I let her call the shots. Now Little Miss Matches doesn't like to be bossed around that much, while Bella just patiently observes everything with her grey eyes, and chuckles every now and then. I think the other two amuse her to no end. I told Darcy we needed to get some photos of her pretty party dress, and she agreed, "as long as you let me wear the lacy hat" she said. 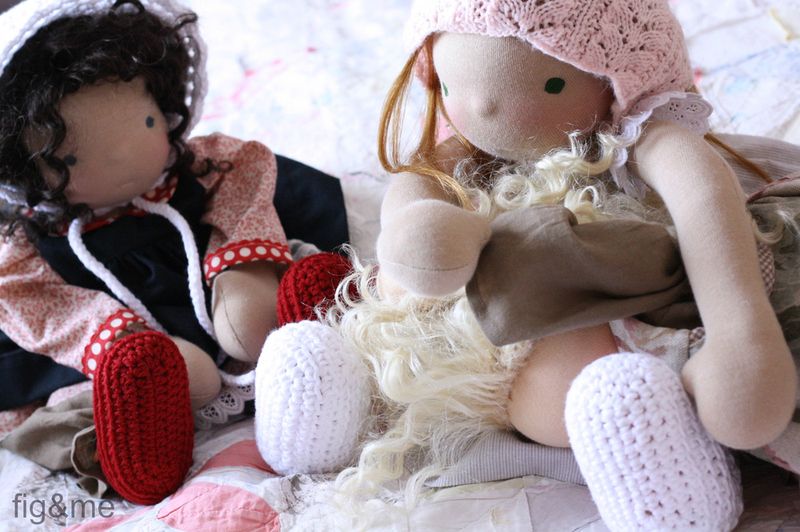 The lacy hat is one of our vintage finds, it is not knit with natural yarns, but the dolls like it. Especially Darcy, she says it is almost like a wig (she calls herself Pinkterella while she wears it, I think it is some sort of super hero in her book), and also poses as her "helmet". She loves to pretend she is Joan of Arc, and other times she is Robin Hood. I have never seen a Robin Hood in a helmet but I am not going to dissuade her. They were all posing quite cute and proper for me, with their picture face and all, and I am not quite sure how it all started to go down from there. I heard giggles while I was trying to set up the aperture and focus of the camera, and when I looked up, Little Miss Matches was covering Darcy's eyes and giggling very loudly. Bella threw herself out of the picture, as if saying "I am not part of this", and Darcy kept asking "who is it?". Little Miss Matches just giggled away. She has the best laugh, ever!. Sometimes I wonder if I should go to a doctor and revise my sanity levels. Perhaps they could offer a pill, or a hefty dose of spa days, to cure me from this "doll dimension" I seem to be in. A dimension in which dolls speak to you, tell you their secrets, their fears, their stories. A dimension in which you are constantly dreaming dolls into being, while also seeing parts of yourself grow. It is funny business to be a dollmaker. Funny business. I keep telling my husband that it is not my fault, that the dolls themselves tell me all these things. He says I have lost the plot. I think I am starting to agree with him, but the thing is, I am having so much fun. Having good fun!. I moved the dolls off the chair, and immediately Darcy started tickling Little Miss Matches. Bella just watched them with a rather stern face and I wondered if she was ever going to join in the tickle fight that the other two were having. I also thought it was a bit mean of Darcy, as she is so much bigger than Little Miss Matches, and she was holding her arm up and tickling her all over. You should have heard the riot!. Well, I think in the end Bella couldn't resist and she joined the fun! She sided with Little Miss Matches and they jumped on top of Darcy while screaming, giggling and saying "soup pile!!". I tried to tell them we say "carambola" in spanish, but there was no way they could hear me through the giggling. My daughters were watching in amusement, and they were cheering for this doll or the other. Darcy was laughing so hard I thought she was going to bust a vessel!. We had to in the end come to aid Darcy out of the pile of dolls on top of her. They were all having so much fun it felt a little sad to know that this coming week they will all be traveling apart from their sisters, going to their homes and families. They will all live so far from each other! But, maybe that is fine with them, I don't intend on asking as I might not like their answer. Especially Darcy's. That doll has some snappy answers!. So the day ended with piles of dolls playing together, little girls observing their mother take photos of dolls in a soup pile, and piles of unwashed laundry and piles of doll clothes in progress, and piles and piles. Not all piles are as fun as the above, and not all piles are bad either, right? I should tend more often to this kind of piles. Happy Sunday, or what is left of it.